You might already be doing direct response marketing in your business, or you might have an e-commerce store. Survival Frog’s Byron Walker has made a huge success of combining the two. Listen in for some fantastic tips on how you can get the best of both and boost your bottom line. 02:44 – What is a direct response campaign? 11:39 – What ad network should you use? 23:10 – How many emails to send? 26:36 – Drop shipping or in-house? 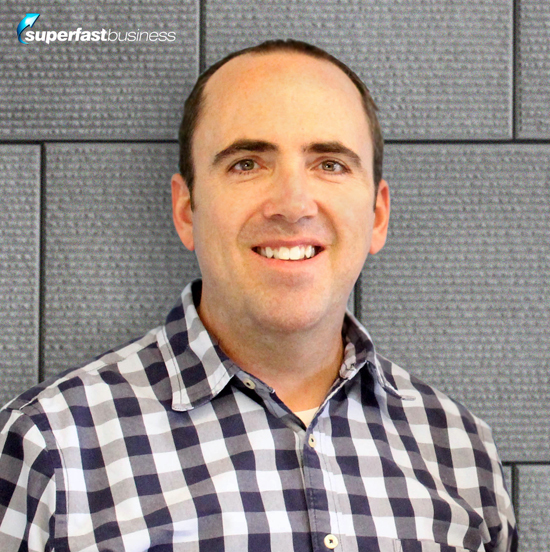 James: James Schramko here, welcome back to SuperFastBusiness.com. Today, we are talking about how to combine direct response marketing with e-commerce. And for that, I’ve brought along Byron Walker from SurvivalFrog.com. Welcome to the call. Byron: Thanks James, glad to be here. James: Byron, I love that you have this great website called Survival Frog, and what we can learn from e-commerce businesses is immense because of the amount of traffic and of course all of the transactions that are going on. We get a high-revenue business that we can learn a lot from if our business isn’t quite at that level yet. And even if it is at that level, there’s always one or two things that we’re not implementing that we could take away from a podcast like this. Now, you’re currently around the $5 million revenue mark. Is that right? James: And what makes your website/business interesting to our audience is that you’ve combined a lot of the elements of traditional direct response marketing with traditional e-commerce. So I know that our audience here often has a foot in both of those things, maybe they’re doing one or the other. But as Jay Abraham talks about, taking ideas from one industry and putting it into another, often you’ll get low-hanging fruit. It seems like you’ve found a nice combination of the two elements. Byron: Yeah, we really have, and we started with info-publishing. My company’s seven years old, and we initially were doing info-products, and that’s obviously a very direct response marketing model. And along the way, we’ve made a few pivots in the business model, and one was to move to physical products. But we were still doing direct response, so solo sales pages, where that’s the only thing to buy and you put them through one-click upsells. So we’re doing physical products just direct response, and then about two years ago, we made another pivot. Well, not so much a pivot, I guess, as much as adding a new element to our business model, and that was the e-commerce site. And we did that because we have hundreds of different products on that site, and that’s kind of our long-tail profit with all the people we bring through our direct response funnel. James: Right. So just to make this clear, what we’re actually talking about here, when we talk about direct response, we’re talking about targeted traffic to a specific landing page, generally promoting one call to action that will traditionally be long-form and image and bullet point and media-rich, asking people to take this specific action. Once they’ve taken that action, then you have them on what’s called the house list. And from that house list, that’s where you will be able to start promoting across the rest of your product range. And it sounds like you’ve just gone to that next stage where, hey, some people want to buy all of our stuff, let’s just put it at our standard domain name and maybe some people can come in just buying the products themselves as well as us doing this direct response campaign in the background. Byron: Yeah, basically, the direct response is a way to bring people through that e-commerce site and demonetize them over the long run. Now it’s worth noting, because we do a lot of paid online traffic, and obviously a lot of that is towards the direct response pages, the solo one-product sales pages, but we also do Google and Bing, and those, you know, PLA ads, and so we also drive paid traffic to our e-commerce site. So we’re doing both, but again the direct response model allows us to bring in thousands of buyers a week instead of hundreds of buyers a week, which is what we’re bringing through our e-commerce. So it really helps us to crank up the numbers, as the number of people coming into our funnel. James: Well, this fits in pretty well with some of the recent episodes that I’ve put on SuperFastBusiness.com. We were talking with Ryan Levesque about segmenting and being very specific with our communication, and I’m sure that’s what direct response allows you to do, because you’re going out with this advertising campaign, with all your research, you know exactly who you’re targeting, what their pains, what sort of gains they’re looking for, to improve upon. You are also using some of the things that Ezra talked about in the episode I did with him about hypergrowth, where he’s got all these different mini sites or landing pages that are catering for different elements of the products that he sells, that bring people into the funnel, and then he starts activating X versus Y upsell sequences. You know, you’ve got X, you should also get Y. In this case, whatever splinter product you’re bringing people in on, whatever front end it is, then you’ve got this great back end e-commerce smorgasbord for people to be introduced to for that house list, right? Byron: Yeah, absolutely. I will admit, I could probably do a much better job on segmenting after they come into our flow, but that is something we’re working on and actually working through the Ask model that Ryan has. But yeah, you’re right, and one other point too, which you touched on, was that with the direct response pages, it’s usually long form, and it’s usually an emotional tug. You know, an emotional sale. And so we are able to really focus in on our marketing channels and remarketing, and do content marketing and things like that. And when they land on that sales page, it’s very emotional and it’s very targeted to them, whereas e-commerce, it’s part of a logical sale. And you know, we still have salesy words on our e-commerce descriptions, but at the end of the day, it’s really just describing the product, and features, and benefits. Byron: Yeah, absolutely. And the page you’re looking at has navigation at the top, the direct response page. But that is actually, I’d rather not have that, or have it at the very bottom, because it actually hurts conversions just slightly. But we do that to be in good graces with Facebook and Google because they really want that. There’s some ad networks, they don’t care if there’s navigation, and we will actually remove that from those traffic sources to help increase the conversions. James: I agree with you on that. For first time visitors to SuperFastBusiness.com, there’s no navigation. And it’s got a specific offer. Second time visitors, they get the navigation option. Byron: Oh, there they go. Oh, I like that. James: You know, they can visit the blog and all the other things. So that was definitely a key input for my conversion rate optimizer. And my in-house web team were able to code up the site to do that. Byron: It’s a great idea. James: The other thing is, I’ve always treated my blog as each single episode being its own landing page. And then of course, you’re getting recommended other posts, you’re getting content upgrade options, people can download a handy cheat sheet or a guide, or the PDF transcription of each episode, and it segments them with a category tag according to the topic of the episode. So this particular episode would probably fall under the “sales and conversions” tag that we use, so someone downloading a guide or a cheat sheet the team put together from this content would tag someone with that topic, and they would receive further news on that. So the direct response element is really working well for you in this case. I just got a couple of other questions. Of all the traffic sources that you’re using, and this is probably a very general product that you’re selling, I know a little bit about this market but not much, the survival market seems to appeal to a fairly mass market, I know that because I keep seeing ads for flashlights, that high-powered flashlight on websites that I visit, maybe because I visited yours or something, I’m not sure. But I imagine it opens up the available traffic sources, which kind of leads me to the question, which would be your top few of the 80/20, if you could only have a couple, where would you go first? Byron: Yeah. Well, I can actually touch on this in two different ways, but the first way I’ll just touch on is, the demographic for the survival market is definitely, say, the conservative market, politically speaking. It’s usually men over 50 or 55. The men to women ratio is probably not too drastic, it’s probably 60 versus 40. But conservative news sites and conservative traffic sources is really where the best traffic for this and many other products, too. Supplement business and many others really do well with the conservative new market. Secondly, as far as traffic sources, again AdWords and Bing, we do a lot on as far as sending traffic directly to our e-commerce site. PLA has done very well for us. Bing is actually crazy profitable. It’s only about one third of the traffic we get from Google, but it’s profitable, where AdWords, it’s usually closer to breakeven for us. James: I was just wondering, who actually uses Bing? Is it pre-installed on people’s computers or something? Is this like AOL, where it’s kind of the older generation or people who don’t change the defaults? Because I can’t remember the last time I’ve even heard it being mentioned. Byron: Yeah. You know, it might be that. I know for whatever reason, my cellphone (I have an iPhone), well, I must have pushed a button or something, but it actually pulls up Bing. But yeah, I don’t know why, and it’s certainly not the same amount of traffic as Google, but it’s big enough to matter, and it’s actually crazy profitable. I’m trying to get the profits down and the number of sales up, so it’s still tweaking the Bing account, but Bing actually does OK for us. James: So when you’re talking about conservative news sites, what sort of arrangement do you have to have to be on those? Are you buying directly, are you using an intermediary platform like on Outbrain or something? Byron: Yeah. We’ve done both in the past, but really we just work through ad networks now. Outbrain, or Adblade or other ones like that, or even Google, for that matter. So ad networks seem to work very well for – well, not great as far as ROI, but very good as far as number of sales we can get. James: So, which ad networks would you say someone in your situation would have? If they’ve got an e-commerce site or a direct response business that they know their market…. Let’s just for example, so it’s not too competitive, let’s say it’s for women over 50. What sort of ad networks come up for you these days, what’s popular? Byron: Like Adblade, for example. Adblade uses, a lot of their sites that they work on are native, so it’s more of a native ad network as well, where the ads that are posted on websites feel more like the content that is on that page. We’ve done a little bit but not a lot of content marketing through that way. We actually just have a picture of our product, and you click it and it goes straight to a direct response sales page. So we’re still kind of pushing and testing the content side, which would be a little bit different. It might be a picture of your product, but it’s a lifestyle, I imagine, maybe it feels like a story. You click over and it would be a full article about, not about the product but about the problem that it solves. And then you can have an ad at the very bottom of the page, almost as like a second thought that would link over to a sales page. But we’ve done a little bit of that, but not enough, so I can’t really talk to you about the pros and cons of that because I don’t have enough data. But content marketing is something that we are very interested in and we’re testing right now. James: Do you have Facebook in the mix? Byron: Yes. Facebook is a big part of our marketing mix, very big. So we’ll load up new products, and obviously start with warm audiences, which are anyone who came to our site, or anyone who’s watched videos or anything on Facebook before, and of course our email list is uploaded in there. So we’ll start with warm audiences, then move to a Lookalike, and we’ll keep pushing that Lookalike until the product burns out. And Facebook, although it seems so big and everything, you know, it’s so huge, in reality, we burn it up pretty fast. So a top-selling product usually won’t last more than a couple of months on Facebook for us. James: Right. And so that’s why the ad networks are bringing you scale. Byron: Yeah, exactly. Now Facebook, we will go ahead and eventually pause that product, and then bring it back two or three months later, and then again pause it when it burns out, and bring it back two or three months later. And eventually, even that stops working, but that will give us these little bumps. And with my company, we actually launch one to two, but usually two new direct response pages or new products per month, and we launch four new e-commerce products a month. So there’s a lot of fresh products coming through our pipeline, and so we’re able to mix them up on Facebook on a regular basis. James: Right. I see you’ve got something happening there, a little bit of community, you’ve got a Facebook page happening? The shopping tool that they offer? Byron: Yeah, so obviously we have a fan page, and we post on there several times a day. We respond back to comments, our following’s pretty strong, I think we’re 60,000 or something. So it’s not huge, but it’s very loyal. We have a blog. We use a service called Yotpo, which does feedback on our products, and we’ve got a great little drive, you know, people are very passionate about it. Once they’re in the mix, obviously. You know, a lot of these traffic sources are just to introduce them into our mix. But yeah, we’ve got a lot of stuff going on. James: Of course. I’m wondering if you’ve thought about building a group around it. Byron: What would that be like, a forum? What do you mean? James: You know, like a Facebook group, where people generate their own content as well. Byron: OK, I like that idea. James: Like community’s a big thing, and obviously large companies are taking advantage of that, where they’re building a community around their product. You could have a listen to the Robbie Baxter podcast that I did, and she talks about community building. She worked for companies like Netflix. But I can see it would be a natural fit for such a strong passion market like yours. Let’s talk about conversions for a second. I notice you’re utilizing a couple of tactics, I guess I’d call them, where one is you have a free plus shipping type deal, where a lot of the products on your e-commerce site are zero dollars, and then as they go through, then they can pay for the shipping, but on the way through there’s a few little bumps, like the upsell and the quantity, and then related products, recommendations through the cart. 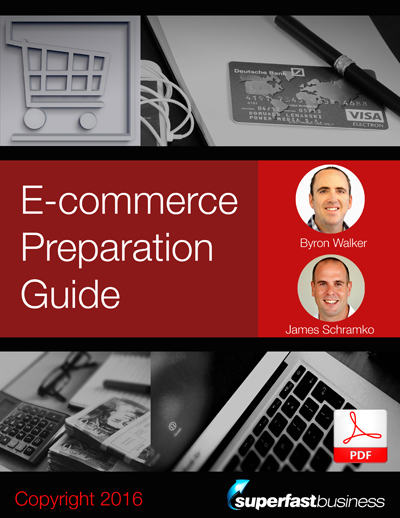 Is it possible that you’re losing money on the front end of your e-com funnel to break even? Byron: I’ll have to ask you on that, where do you see free products? Because we rarely do free products on e-commerce. We do free plus ship on our direct response pages. Byron: Yeah. But that’s an important distinction. James: So let’s talk about that. Have you tried running it on e-commerce? Byron: We have, and it kills our average order value. James: I can imagine, and that’s why it grabbed my attention. It’s like, OK, well that’s unique. And I clicked through the funnel to see how it must work, and I’m sure you’d have some take rate on increased quantity or related products, but there’ll be some people who just want to test it out and see if they can get their thing for a few dollars of shipping. Byron: Yeah. On e-commerce, free plus ship really hurts us. We went from a $90 average order value to $40, or $35. I mean it just tanked it. James: But how long do you look at that product value window? Byron: Those numbers are just from day one. James: Because when I was talking to Ezra, he said he’s looking at six months out at that average customer value to see if it’s improved. And a lot of this is going to come down to your back end, and I’m certain things like Ask are going to help you increase that value. In fact, one tip that I recall from Ryan’s event, which I thought was genius, is on a quiz funnel, they asked one of the questions that gets a sub interest, and then they bring that in in the back end autoresponder sequence. So they don’t make that the first product sale. They might ask a specific question, and then they’ll sell a general product, and then they’ll go back later after the general product and clean up all the specific questions in their X versus Y recommendation sequence. So for example in your market, what’s an example of a really general product? Byron: Like, a water filter. James: Right, and then what’s a specific product that only applies to some? Byron: Maybe some heat packs that are only for people in cold climates, or a bivy bag or something. James: Gotcha. So on the quiz funnel front end, they might ask something about if they live in a cold climate. And if the person says yes, they might just squirrel that away for later, they’ll go for the water filter as the sale, and then in the autoresponder sequence, they come back saying, “Hey, because you live in a cold climate, you might also be interested in heat packs.” So they save their chestnuts up to use later when they’ve got the general sale out of the way, and then they go for the low-hanging fruit on the specific sale. Byron: Nice. That makes sense. James: Now do you have things like that? I imagine you’ve been going for so many years and you’re up to a fantastic level of revenue. Have you found things that you’ve sort of innovated and that are working really well for you that you think might apply to my business, or someone else listening to this? Byron: Well, you know, again, I think just the idea of that having more direct response approach gets us thousands of buyers a week, where a typical e-commerce is less. You know, we do hundreds of products, higher dollar value, but we’re just trying to put as many people into our funnel as possible, into our database so that the lifetime value is better. Another thing, remarketing is huge. I can’t imagine too many people are not doing it, but remarketing is a very big part of our marketing mix. Same with affiliates, of course. Affiliates do a large part of our sales mix, and a tip there, for us, what we’ve noticed, is doing sales contests like every other month really helps. Not just the spike we get then, but we’ll have a lingering effect that will last for months and months as affiliates continue to send traffic. James: Right. So let’s zoom in on that affiliate thing for a second then, and still definitely a traffic source. Have you found that most of your sales come from just a handful of them? Byron: Yeah, definitely. Especially the ones that pop. So when we get a big pop, it’s from the bigger affiliates that may not promote two weeks later. But what we do get is the lingering effect is from smaller affiliates, who may just have put a banner on their blog or put us on the thank you page or something like that, and while it’s not a big pop in sales, it is long term a lot of sales because every week, there’s five or ten more sales, so those are nice. James: And do you outreach specific affiliates, do you know who your competitors are and go and approach them and see if you can provide gaps they’re missing? Byron: Yeah, absolutely. Our affiliates are our competitors, you know. And there’s probably a handful that aren’t direct competitors, they’re just bloggers or something. But all the big fish, they’re all our affiliates. So where some people kind of take that, stand back and kind of scared of competition, we really embrace the competition. We know them all personally, some of them are our friends, and we JV and we work together continuously. Because we bring value to the mix that a lot of them don’t have, because most of our competitors are direct response marketers, and they don’t have this huge e-commerce site that has, I think we have 500 different products. So we’re able to bring some value to the table that they normally wouldn’t have access to. James: I think that’s definitely a direct response market thing. So used to having affiliates as joint venture partners. I imagine, I’m super aware of what happens with affiliates, having had affiliates, I am an affiliate. Do you supplement your business income by being an affiliate for other partners? Byron: Absolutely, yeah. That relationship almost requires give and take. Byron: Yeah, absolutely. So yeah, we do. Because our list, you know, we send out say 20 emails a week between two lists. So let’s actually say, 15 emails per week for one list. So we do usually two emails a day. Does segmentation come into play? James: So is there much segmentation going on as to what you send to whom? Or is it more sort of a house list, one size fits all, because it’s such a general market? Byron: Well, it’s the latter. But I can’t tell you it’s because I’m smart and that’s the best way of doing it. Now, I need to segment my list better, we need to be more specific, we need to have better surveys, we need to segment. I know we need to. But to answer your question, we’re not. So it is a blast, one size fits all, not the best practice, but it’s currently the easiest, and we’re focusing on other things. So we are just sending the same emails to everybody. James: While I’m on that, how many emails would you be sending, like what sort of volume do you send out to, and have you had issues with deliverability, or have you found something that helps that? Byron: Yeah. So I can speak to this. Our list is about 125,000, so whatever that is for roughly two emails a day. And we used to use platforms like iContact, or Constant Contact. And we moved to Maropost. So we use Maropost now. We have a self-hosted, well they host it, but it’s an exclusive self-hosted IP, so we’re not sharing that IP with anyone. And our deliverability rates and clickthrough rates went way up when we did that. And Maropost is crazy expensive, but for the volume we’re doing it’s well, well worth it. And a big thing of this is the peace of mind that came with it because iContact or Constant Contact, if someone just is in a really bad mood and wants to, they just push a button, you’re done. Byron: And you can’t even get your list and try to move it to a different provider, almost impossible, because they want to know everything in the history. I mean you really, your business is at risk. And we had such a high volume of revenue coming from that source, I just got nervous. We never had any problems, but I heard all these other stories. So we moved to Maropost because now, even if we were blackhat, which we’re definitely not, we can not get shut down by them. The IP might get blacklisted, but then we just get a new IP. So point is, we’re much more insulated, no one can mess with us, and we have much higher deliverability rates, too. James: Yeah, that’s something that I’ve heard over and over again. I’ve got a few clients, especially in my highest level, who are doing massive volume of email. I hear Maropost coming up a lot. Working hard on having your emails delivered is a big deal. It’s also another good reason, obviously, we always get a little CSV stashed away somewhere of our records, but to build those remarketing lists and to build communities, and be able to reach your top customer is another sort of safeguard, and anything like a YouTube subscription, iTunes channel, it just means you’ve got multiple contact points. Have you been utilizing anything like Facebook live for example to start bringing your market some more emotion and immediacy? Byron: We have not. I would love to do that though. That’s one of many, many projects on the list, but we have not done anything like that. James: Isn’t it great to hear, when you’re at the 5-million revenue mark, there’s still as many things on your to-do list as there is when you’re starting out at day one. Byron: Oh yeah. And even low-hanging fruit in my mind, like some of these ideas aren’t even small little nuggets. They’re like, hey, this is big. But it’s funny because you have ten other ones that are just as big, and you have to figure out where you prioritize your time. James: Right. That’s where you get someone like me. I see all these businesses like in little silos that I’m working with all the time, so I know what works in somewhere else, and I’ll bring it across. Someone I was speaking to just this morning, he has a very large supplement business. He’s been through the exact same sort of growth stages that you’re going through now. One of them in particular relates to the supply of your own products. I guess being an e-commerce related business, I would have to ask you about whether you’re adopting a particular model of drop shipping versus handling it in house, supply-type questions because that will increase your margins and give you a lot of control over your reputation. Byron: Yeah. I’m glad you asked about that. So you know, long as I described, we made a few pivots along the way. One of them was when we first opened our e-commerce website, we were almost 100 percent drop ship. Our margins were just awful. We can’t afford to pay for marketing. I mean it just ruined me that tough first year. And so slowly, we started bringing more and more things in house, which means we had an in-house fulfillment center, which means we had to add three or four more staff members, but that’s OK. Bringing those products in house allowed us to do several things to increase the margins. One, we don’t have silly drop ship fees. Two, we didn’t have silly shipping fees, which had to get passed on to the customer because drop shippers don’t just put on a fee, they charge higher shipping. Third, we could buy them in bulk instead of one off. So imagine you buying one or two from a drop shipper versus 5,000 from China. So we get better pricing. It goes on and on. There’s so many economies of scale by bringing it in house. We went from a 20 percent gross profit margin to now, we’re at 35, and we’re actually moving offices in a couple of weeks into a much bigger facility, and that’ll get us the 40 percent gross margin. So what a difference. 20 to 40. James: Well it’s big. I certainly learned from running very big businesses. One of the businesses I was running was $100 million a year, even 1 percent change on $100 million dollar a year business is a huge shift on the bottom line. It’s a million bucks. What do you do when it comes to supply, do you have to travel over there and look for products yourself? Byron: We have not done that. I’m still trying to find the big aha reason that we need to. I’m sure we will, but we haven’t done it yet. Again, one of the things on the list. But we have great relationships with a handful of vendors in China and other places, and we’re on the phone with them constantly, or Skype more than phone, so we have a great relationship with them, we’ve got history with them, we usually go back to the handful of vendors each time. Would the prices be better, somehow better if I flew out there and meet them face to face? I’m not sure. James: Right. I’ve traveled a lot to develop my export markets and the relationships certainly have helped in some ways. Do you have a large team? Byron: We have 15 employees. James: Right. And are they local or overseas? Byron: We run out of an office, so out of the seven years the company has been around, we’ve had an office for about three years. That was a great move. There’s pros and cons of not having an office obviously, and I ran a pretty big business with no office, but we just get more work done, culture’s there. I couldn’t get a culture at all without office. And then lastly, this was a nice, little surprise – we hire much higher-quality people now; meaning we’re able to recruit higher-quality people for whatever reason. Because like me, I love working at home. But a lot of people don’t want to work from home, and they want to go to an office, they don’t know what to tell their mother-in-law if they work from home. The higher-quality people seem to want to go to an office. James: Gotcha. Yeah, I mean it’s great from a control and camaraderie perspective. Let’s just shift topics for a sec there. When it comes down to collecting the money, that can be another challenge for people putting high volume through. Do you have a single source or multiple ways that people can pay? And have you had any learnings there about charges and the ability for people to use credit cards? Byron: Oh, we obviously accept all credit cards. We do PayPal. You can pay with Amazon. We just implemented Amazon about three or four months ago. Although I can’t say we got a bump from it, I would say, last I heard, it was about 30 percent of all our e-commerce revenue is coming through Amazon payment. So that’s just the payment. Obviously, the products, what I’m speaking of, doesn’t mean they go to Amazon and buy there. It’s just a method of payment. We do Bitcoin, which is pretty relevant to our market. Bitcoin is kind of cool. All the money that we get on Bitcoin, we just leave there, and it seems to go up in value or at least has lately. So those are our methods. We have different several merchant accounts we can bounce around. But no big ahas on that other than watch out for fraud. James: Yeah. I was going to say that. The affiliate channel produce more fraud for you? Because it used to for me. Byron: No. Almost none. In fact, our refunds are very low. I’ve never had any affiliate issues. But what we do have is professional criminals trying to rip us off. So the scam we got caught in was someone basically ordered, I think it was like $10,000 worth of product, and then to ship it overseas, they wired us the money for the shipping, and then we paid a shipping company. And then the shipping company was a fake, so they kept that money and then the wire got bounced back. Oh no, it was a credit card that paid for the shipping, but the credit card was stolen from someone else. I don’t want to go in too deep, but it was like, man! They’re very complicated. James: Yeah. If everyone’s affected by cybercrime, I’ve had it as well, you did give away the gold by the way, the strategy of keeping money in the relevant currency or format that can have a long term gain. That’s pretty much my prime investment strategy of the last couple of years, has been to hold a certain currency and use the differential between another currency as my gain. So I can have a stratospheric increase in my net worth just by holding the currency in the right type because I’m dealing with three currencies. Byron: If you do it right, yeah. James: That’s right. If you have a feeling where it’s going to go. I noticed that actually when I was working in the automotive industry, a lot of the car dealers were second or third-generation family members, and in the back office, in the accounting room, often they would be placing stock trades or building other related businesses like property business portfolio using the seed fund or the capital from the prime business. So always look for that secondary way to leverage the first business, and you’re doing it with Bitcoin by the sound of it. So good luck with how that ends up. It could be wonderful for you. If you were to step outside your business for a minute, and you had the opportunity to talk to you, what do you think would be the sort of thing that we should be asking you to share? What would be an amazing way to round out this call, because you’ve already shared some amazing things. Just a quick recap while you think about that, we’ve talked about the fact that you’re combining direct response best practice with the inevitable pivot of making your products available on your homepage as well, so you’re kind of double dipping there, multiple front doors. We’ve talked about the idea of long-form sales pages that have high conversion elements that a lot of e-commerce stores are missing out on. Ezra touched on the exact same topic. So we’re hearing it twice now from successful e-commerce businesses. You’ve got your traffic dialed in. You gave us some tips as to where we might get traffic. You gave us an ad network, Adblade. You talked about your free plus shipping offers are working out and what the traps are there as well. We talked about affiliates. We’ve talked about team. We’ve talked about how you fund the business. We’ve talked about email deliverability. So I think we’ve had a well-rounded conversation capturing the main elements. What do you think we’ve missed? Byron: A couple of quick things; shopping cart abandonment, that’s a big help for us. You may also like apps – would be another one. This is all e-commerce of course. And then we just implemented this week Ezra’s new one-click upsell on e-commerce. So looking forward to seeing how that does. I can’t imagine it’s not going to do great. James: Is that Zippy? Whatever he calls it. Byron: Something like that. Yeah. James: Yup. He told me that I should be recommending that. I’d love to get a use case where someone says it’s a really good tool. So if you’re using that in your business, feel free to comment in the comments below, and we’ll make sure to get the message out to others. Byron: I’ll also follow up within a couple of weeks to let you know how it went. James: Oh well, I’d like you to follow up with a couple of innovations we might have mentioned here that you’re not doing that I think will be good for your business. I’m interested with the cart abandonment. We’ve covered this a few times on this particular podcast, how important it is to be following up people who get to the checkout page and don’t buy. What can you add to that conversation? Byron: We’re somewhat new to that party so I don’t have a lot of data for you, but I know we’re getting, I’m kind of pulling this number out, but I think this is what I heard last; around 25 percent, 20 percent of the people who again put in their email address but don’t buy, so they were really close, mentally anyways, or they had a credit card problem or whatever; we’re getting those people back, and they’re buying from us. James: Yeah. I would not be shocked that people could add 30 percent to just adding this. I’ve helped a direct-response marketer at this lately. He’s in my SilverCircle mastermind group. He’s been online for a decade. He’s got the most popular product in a certain niche by far, and he’s never had a cart abandonment, and he’s shocked at the results for just adding this one thing. That’s like a power move. That’s the skidoosh move, or the magnum look from Zoolander, or whatever. It’s the one, little thing you could do to an existing business. If you don’t already have it, you’ll be coming off this podcast smiling. Go and make it work because it’s such a powerful maneuver for such a little, one-time effort. Tell me about apps as we round out. James: Gotcha. So it’s like in Amazon. People who bought this also got this. Like a related post plugin on a blog. It’s using some branch logic to cluster things that it recognizes should be bought together. James: Very good. Well you’ve been so generous, Byron. Especially from out of the blue, you contacted me, responding to one of my emails about something else, just mentioned, “Hey, perhaps your audience would be interested in what you’re up to,” and I think you’re right. I think this has been great. We’ve got kind of ironically for your market, which is the kind of prepper market, we’ve pretty much brought together a little preparation checklist that people could look at if they want to build up their direct response business with some e-commerce, or if they want to flavor their e-commerce business with direct response. We’ll compile a little guide that goes through some of the checkpoints in this episode; everything from affiliates to email deliverability, to payment funding, to product sourcing, to shopping cart abandonment. You’ve been so generous with your information Byron. And I also know that you are working on something that could potentially be quite big that’s coming down the line. We’ll keep that up our sleeve, but if you’re getting some traction with that, I invite you back to talk to us about that story because I think that’ll be the biggest story, maybe one of the biggest stories that I’ve been able to bring to the market on this podcast. We’ve brought a few, like the evolution of the LeadPages for example, as an ongoing saga here, where we’ve been breaking updates from day one on that particular evolution. So get in on that one if it works out. Byron: So I got a question for you because there’s two things I’m not sure you’re talking about. Is it the TV or the other thing because I don’t know if I told you about what’s happening on August? James: You told me about the other thing as well. You told me about both of those, not the TV one, but I think the disruption idea that you’re testing out. It looks like you’re targeting for a big number there. Byron: Yeah, yeah. So we talked about that on a different show. But real quick, August 26, Discovery Channel is launching a new business reality TV show, Blue Collar Backers. We will be on the third episode. So September ninth. So you’ll be able to see our smiling mugs and reality TV, and see a little bit more about our business there. James: Fantastic. Well, well done on that. Another good reason to have a community to support the inevitable media that it will drive towards your website. Byron: Great. Thanks James. That was fun. Great one. Could you share an example of a direct response style landing page for e-commerce?